For a limited time*, PECO is offering increased rebates on a variety of popular energy efficiency upgrades, including LED Lighting that can help your business lower your operating and maintenance costs. Our world is increasingly recognizing the importance of environmental sustainability and energy efficiency in new construction and building upgrades. Good business is cost-conscious as well as environmentally responsible. Today more than ever businesses are improving their bottom line by upgrading to LED-Lighting and Lighting Controls. These improvements lead to lower energy costs & usage in addition to a smaller carbon footprint. In comparison to traditional lighting methods, LED-Lights also offer significant savings in energy cost, usage, lighting maintenance and carbon emissions. We'll handle your LED Lighting project from start to finish. Your Project Manager will be you point of contact and available to answer any questions you may have in the process and will also keep you fully apprised of progress. To get an idea of how much you can save by upgrading or installing LED Lighting, our first step is to perform a Savings Assessment to estimate how much you're likely to save with the LED Installation. We take into account your energy cost savings, maintenance cost savings in addition to all applicable rebates and incentives. Contact us for a free, no obligation LED Lighting Savings Assessment. First, we'll discuss your goals and budget and our Lighting Designer will arrange a site visit to gather necessary details about your facility. Next, our Lighting Architect will determine what the best LED-lights and lighting controls would be for your facility. Finally, we'll prepare a detailed Return on Investment Analysis taking into account any rebates, tax incentives, environmental impact and financing options. 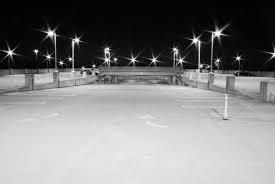 We'll also provide a detailed Photometric Analysis of proposed LED-lights to show desired illumination. Apply for all available grants & rebates and all required permits. Remove & Recycle all old lamps, ballasts, and fixtures. Install new LED-Lights and Lighting Controls by experienced and fully certified electricians. Additionally, most lights we carry have a Full 5 Year Parts & also a Replacement Labor Warranty.